It’s never too soon to get your child into a rewarding future. 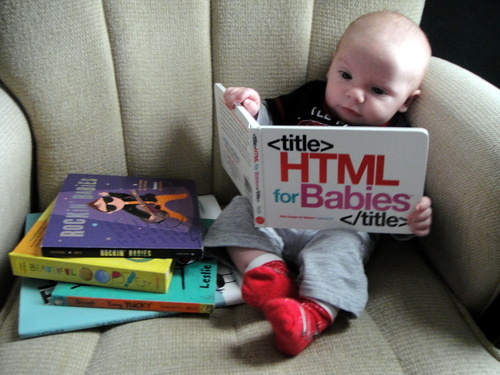 Pick up a copy of HTML for Babies (Web Design for Babies, Volume 1) and get your wee ones standard compliant. It’s a world wide web out there and children are the future- teach them well and let them code the way. Show them all the beauty they can markup inside.